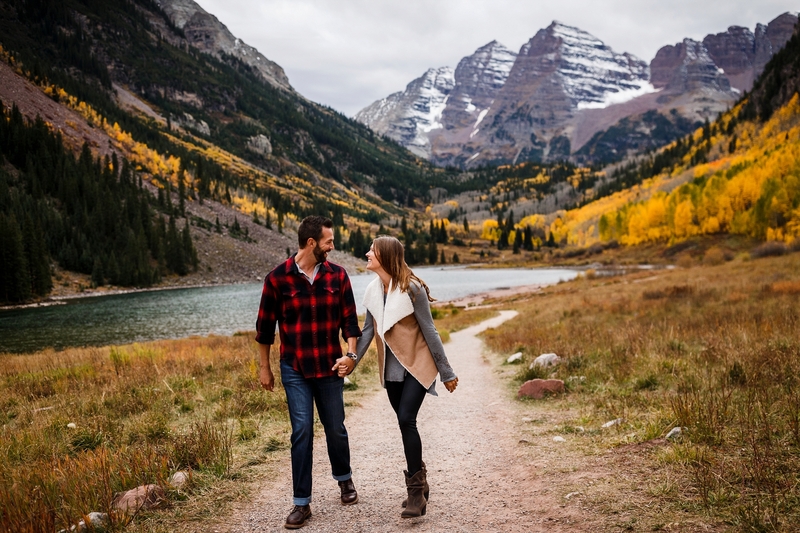 One of the most iconic scenes in Colorado, The Maroon Bells are nothing short of extraordinary. 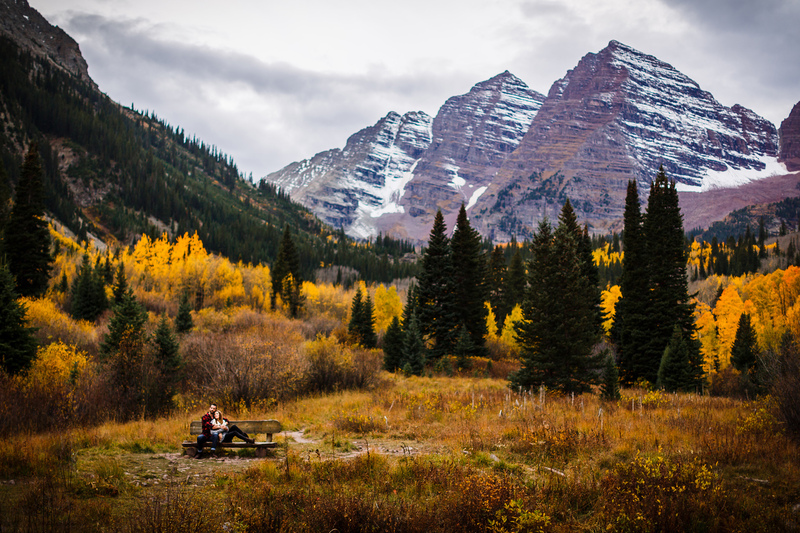 They get thousands of visitors every year, but during the fall and peak leaf change, it feels like thousands of visitors every day. 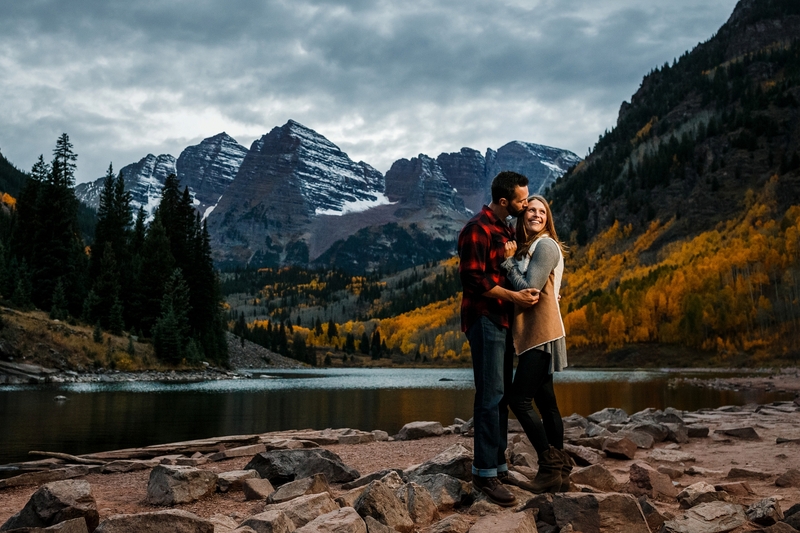 To avoid some of the crowds, Blake & Amanda made a weekday evening work for their Maroon Bells Engagement. 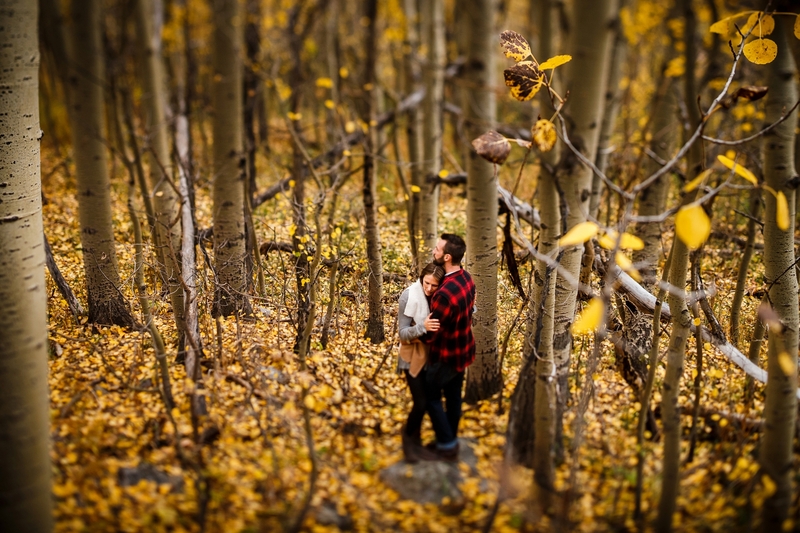 After trekking over Independence Pass, we met up with Blake & Amanda before heading into the park. While our skies might have been overcast, it didn’t effect these two a bit. 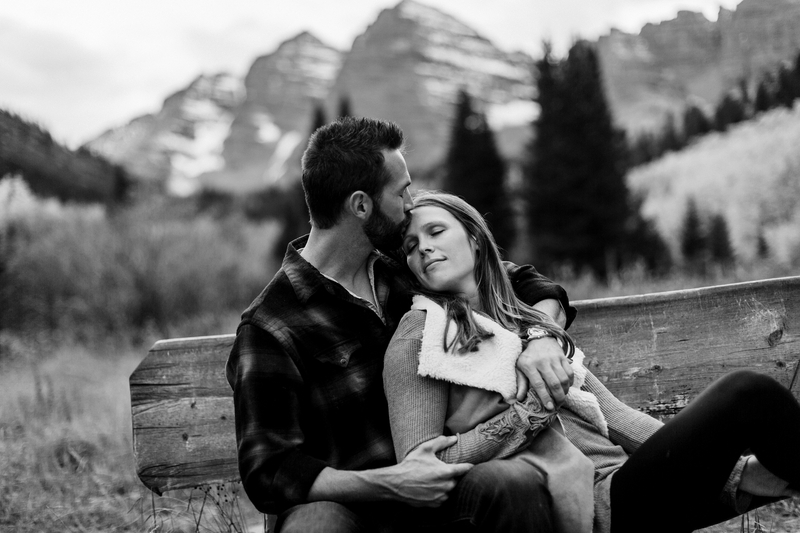 There was no shortage of emotion and moments for these two as we walked around Maroon Lake, shooting some beautiful fall engagement photos. 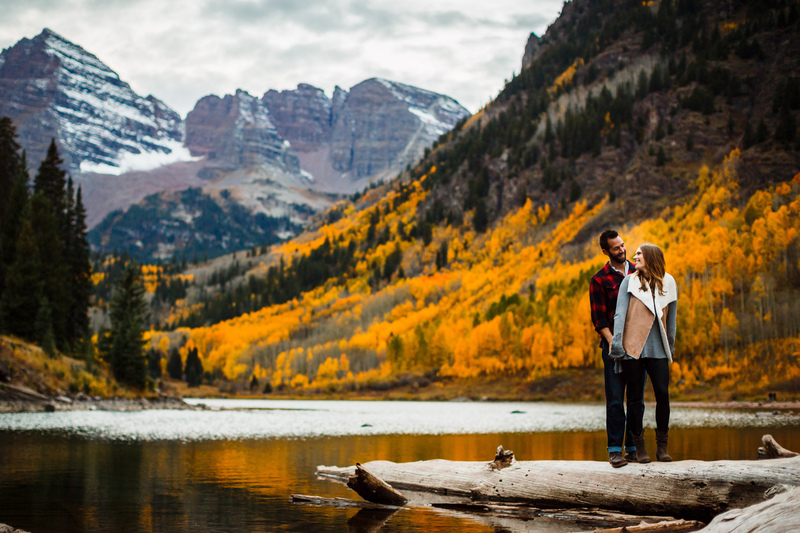 Even with a slightly delayed start, we managed to make it to the backside of the lake, passed the beaver hut, for a portrait right in front of Maroon Peak.